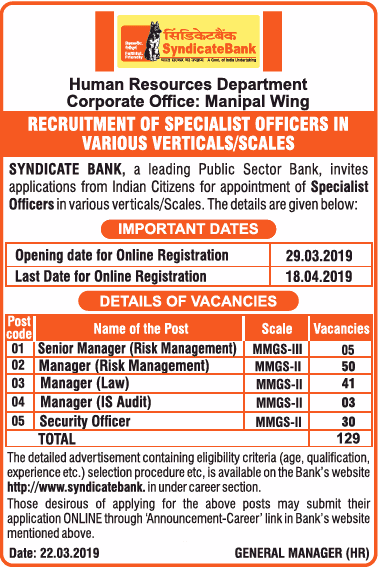 Recruitment of Specialist Officers in various verticals/scales In Syndicate Bank 2019. Syndicate Bank, Has Recently Published A Recruitment Notification For The Post Of Various Manager & Officers Posts. So Interested & Eligible Indians Can Apply For This Job Of Syndicate Bank Through Online Mode, From 29th Of March, 2019 Onwards. Specialist Officers →129 Online Vacancies, Kindly Do Go Through The Image's Below For Vacancies Distribution, Name Of The Posts, Age Limit, Educational Qualifications, Pay Scale, Experience And More. 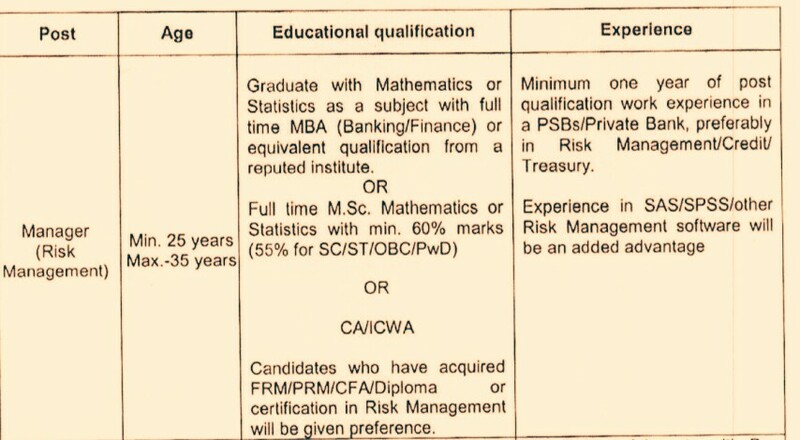 (Credit- The Official Advertisement Syndicate Bank Recruitment 2019). B. 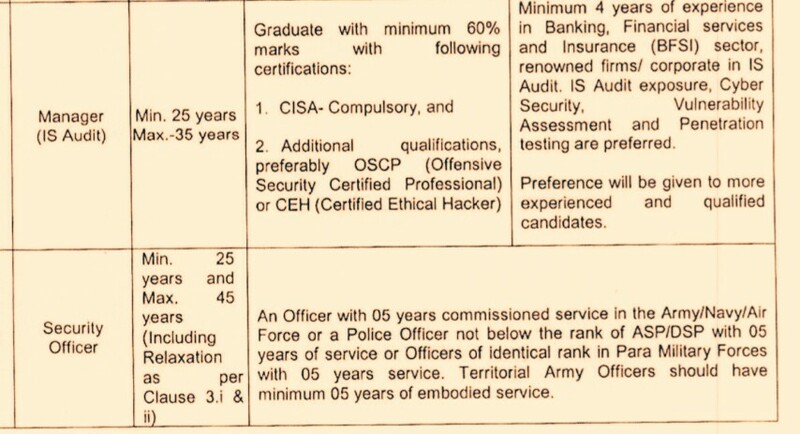 Eligible Criteria For Specialist Officers Job Vacancies In Syndicate Bank 2019. Age Limit → Check Out The Image's Above. Mode Of Examination/Selection →Online Examination/Group Discussion/Interview. Online Application/Examination Fee →₹600 Plus GST For Unreserved Candidates & ₹100 For Other Reserved Candidates (ST/SC/PWD). For More Info →The Official Website Of Syndicate Bank, India. Now Apply For SO Job Vacancy In Syndicate Bank Recruitment Notification 2019.